Book your family session with Simply Chic Studios today! Sessions book quickly, so don’t wait! Simply Chic Studios is a full service photography and design studio that enjoys walking you through the process -- from starting at your first inquiry, to picking up your final product and hanging it on your wall. With years of experience, Simply Chic Studios tries to make sure you (and your littles!) are comfortable right from the start. You are there to relax and have fun, and Simply Chic Studios is there to make you look good and shine. They have several different sessions to offer and will guide you through choosing the best one for your needs. Photography is so important to Simply Chic Studios, because it’s your history for future generations. Contact Simply Chic Studios now to set up a custom session! 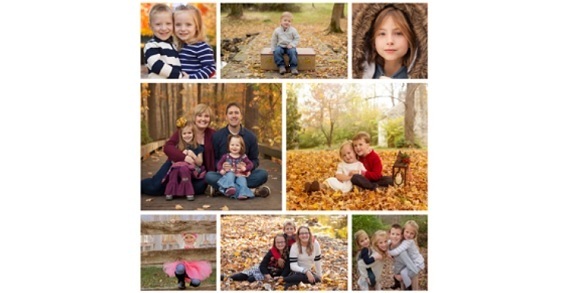 Family session fee is $150 with collections starting at $299. For more details, contact Simply Chic Studios.